Its Not Always EaZy, We Just Make It "LOOK" that way! Steven with EaZy Electrical & Plumbing handled all the plumbing needs we had. He even brought to my attention a potential electrical problem. He was courteous and did excellent work. I would recommend this professional company to anyone who has plumbing or electical needs. 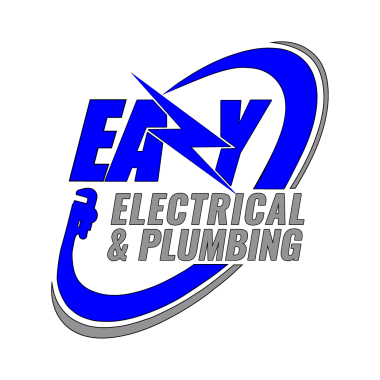 EaZy Electrical & Plumbing is one of the most professional and courteous service companies around. From the first call through the completion of the job they were communicative every step of the way. Kevin, who was the technician who performed the electrical service was knowledgeable and focused on customer satisfaction. I will definitely use their service again and give them a 10-star rating. Estimate and service the same day. It is so rare to have a company go soooooo far above expectations, but that is exactly what Eazy did. We had a power surge from Georgia Power (ants built a bed in the transformer case and corroded the wire to the house). It was Friday at 6:30pm and the odds of someone helping seemed impossible. But a quick Google search for the highest rated electricians turned up Eazy. They answered the phone on the 3rd rind (well after office hours), took our information and repsonded by text, phone, and email within 10 minutes, booking a technician Saturday morning at 10am. They showed up 30 minutes early, went to work immediately, diagnosed the problems (many) quickly, and offered a trustworthy and affordable solution that got all power restored within 3 hours. They suggested and we had them install a power surge adapter to protect the whole house to prevent any sort of surge damage again. Kevin went so far above and beyond it would take a lot more to explain. Suffice to say that when you are looking for a trustworthy and expert electrician in the Adairsville, Calhoun, Cartersville, Rome GA area, you need to make just one call - to Eazy Electrical. Knowledgeable and efficient employee, veery personable. Technician was very knowledgeable & funny. He did a lot of troubleshooting to make sure we were all safe after smoke filled our kitchen. Plumber is repairing a clogged drain line. electrician is installing a ceiling fan. Electricians are repairing a power pole that was damaged from a storm. Certified electricians are installing ceiling fans and light fixtures. Certified plumber is cleaning a clogged drain, we offer electrical and plumbing repair in Calhoun GA. Licensed electrician is installing a new 200 amp electrical service upgrade. Certified plumber is clearing a clogged drain line. Certified electricians are going to be re-wiring a home in Lindale GA, we offer electrical and plumbing repair in Lindale GA.
Certified electricians are installing a new 240 volt circuit for a hot tub. Electrician is repairing parking lot lights we offer electrical and plumbing repair in Lafayette Ga.
Certified electrician is installing a ceiling fam.